Genesis Chiropractic & Wellness Centre was founded by Dr. Joanne Kostadopoulos in the summer of 2001 after Dr. Joanne returned to Nova Scotia to set up her practice. Dr. Joanne chose to return to Nova Scotia to practice to be close to family and because of her love being near coastal waters. Dr. Joanne enjoys the water and ease of living on the East Coast. Dr. Joanne chose to establish her practice in the beautiful Clayton Park West area of the city because of the wonderful sense of community and the ease of access to this area.” Our practice attracts patients from various parts of the city and province”! Why choose Genesis Chiropractic & Wellness Centre? Our practice is unique because we take those extra steps to ensure a positive first experience for new patients that are choosing chiropractic care for the first time and for those who are returning to chiropractic for ongoing care. We are a Chiropractic and Wellness Centre focusing on the individual health needs of adults and children alike. Although many people initially consult our office for pain relief, our approach is about more than keeping you pain free. It is about establishing and maintaining proper communication between the brain, the nervous system and the rest of the body so that you may be able to maintain a proper state of balance and health. Chiropractic is about maintaining the health of the nervous system. The nervous system controls the function of EVERY cell, tissue, organ and system of the body. Any malfunction or interference in the nervous system, and primarily in the spinal column, can lead to a malfunction somewhere in the body. As chiropractors, we refer to this malfunction or interference as a subluxation. Subluxations, if allowed to remain in the body can lead to a lack of ease in the body called “dis-ease”. Our approach is to locate these areas of subluxations causing “dis-ease” in the body and remove it, thereby restoring the body to a more balanced and healthy state. Many of our patients report an improvement in overall quality of life and a more responsive body, in general. Daily physical, chemical and emotion stressors on infants, children and adults can lead to interference in the nervous system resulting in ill health. Our unique approach and gentle techniques allows us to help entire families live healthier and happier lives. As a chiropractor in Halifax, my dream, vision and hope for the future is that we may help every person we meet to have access to the very best health care possible. I feel that care includes chiropractic! My team and I wish to encourage each person that we meet to strive towards achieving a greater heath potential and to be able to, in turn, encourage others to do the same. Through a schedule of regular and periodic chiropractic care, our goal is to help you and those you love get well and stay well! Patient education is also a big part of our process. We believe very strongly in educating our patients to learn about their health and to inspire them to make better choices about their health and the health of their families and loved ones. We have a lending library to assist with this goal. Our patients tell us they love to come to our office because they find our centre comforting and they learn when they are here. They often describe our Centre as warm, inviting, healing and fun! Our patients often tell us that they know my staff and I care about their well-being and are interested in helping them get well & stay well. 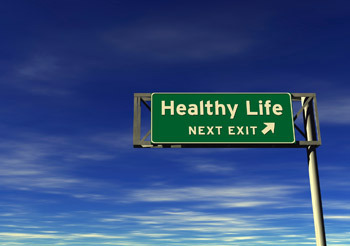 Are You Ready to Introduce Chiropractic into your Healthy Lifestyle? We review each patients goals and work together with you to achieve them. We help patients understand the true nature of their problem and ways to participate in the process of getting well and staying well. Our patients love the extra special attention they receive from our team. Are you or a loved one ready to experience Chiropractic and its many health benefits? If so, our team is ready for you! Call our Halifax chiropractic office today to arrange a thorough examination and to learn more how about chiropractic can help you lead a healthier life!